I filled out my summer internship “to do” list in May with great braggadocio. “I can accomplish all these things this summer! No problemo,” my inner self confidently mocked to Reality. Few items are completed; most are still looming. One of the Looming is a book of prayers on hope. I am in a Hope Drought. I have written only four lame prayers of hope for the book. Lame. Not only do I not want to turn these prayers in to my professor I don’t want to pray them to God. Lame. Me: What is up, God, with this hopelessness crap? God: You are missing it. Me: Missing what? It is just Not There. God: It is. It’s just in the Not Yets. 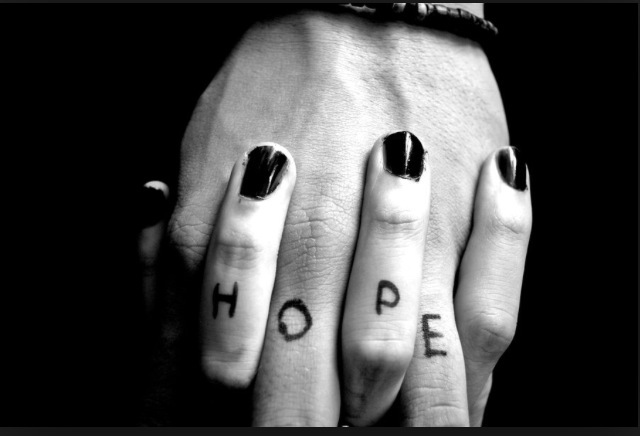 Now, Readers, I know that Hope is in the Not Yets. I know this. I KNOW this. I just feel that there has been so much Not Yets that I live in the Land of Not Yet. Shall we read my litany of Not Yets together? In my list making hear my petition for hope. Amen. 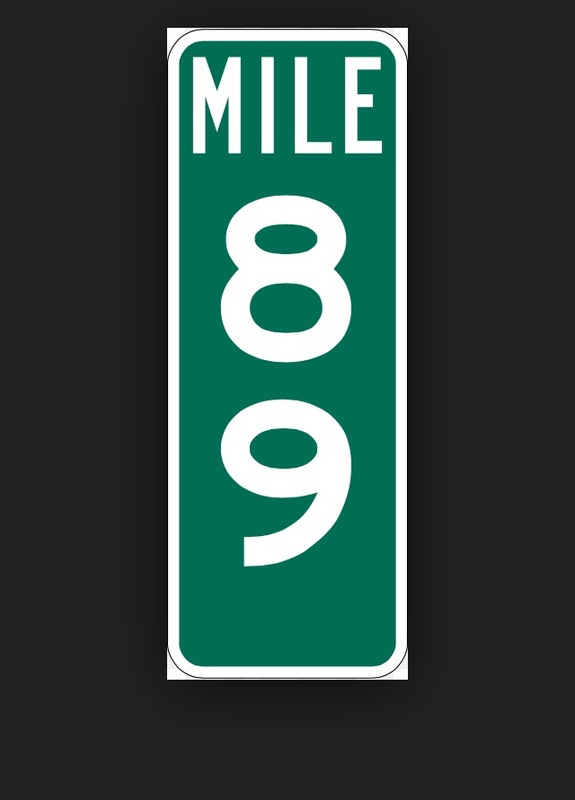 Mile marker 89 on I-70 East holds a special place in my heart because it reminds me of my friend Angie. There is Hope. I know there is. I have to know there is. My concern is this: if I in my church-working-seminary-Master-of-Divinity-earning Self am in a Hope Drought then you could be, too. I am with you in the Land of the Not Yets. It is Here where I have discovered another thin place: our togetherness. Yes, ours. You and me. Together. Adventurously Authentic. Really Real. You and me. Will you do me a kindness, Reader? Will you leave me a comment about areas of your life where you would like to see a little Hope? Perhaps tell me where you are in the Land of the Not Yets? If things are too dear, too hard, too silent for you and you don’t want to leave a comment feel free to email me at AdventurouslyE at gmail dot com. Writer’s Note: Some Things require the reverence of Capitals, some do not. I’d like a little hope in a job search that is interesting, invigorating and fun as well as meeting my financial needs. I need hope that the financial needs will not overtake us before that great job shows up. I need hope that Terry will be 100% whole and complete. My “not yet” list is way too big right now. My Not Yet is out there looking for me. I KNOW he is. I’d like to feel hope for the future for my grandchildren. They are inheriting a world at war. I’d like a little hope that my stepmother will slay cancer for the second time. Treatment starts soon. I hate cancer. I’d like a little hope for my sister as her children fight their addictions. African townships could use more hope and prayers than we all have in us! Thank you for your beautiful prayer for Vince and I during our travels. Hope for my aunt and her family as my uncle fights the big C. Hope for re-finding myself and the person God means me to be. Elizabeth, there is so much HOPE because you do have ‘Not Yets!” What if you didn’t? We have HOPES (Not Yets) because we aren’t ok with the status quo (or the bread crumbs)! Keep HOPING! Then be still and get out of the way! I sense GREAT things in you and for you! Lee reminds me that “What if what you’re wanting now is even better than you can imagine later?” I’ll receive that and keep on keeping on! P.S. I have that very picture of HOPE in my office at home! My not yets seem to be my calling in life, and a man who is right for me. My not yet is a thin self..